Southern Sudan should arm the local Arrow Boys militia to protect civilians in Western Equatoria State (WES) against possible attacks by remnant Lord's Resistance Army (LRA) fighters during January’s referendum on secession, say local leaders. “We’ve told the government, ‘Let [the Arrow Boys] be trained and armed, and they will defeat the LRA, and when the LRA dies, the Arrow Boys will give back the weapons’,” Western Equatoria governor Joseph Bakosoro told IRIN. Southern Sudan’s government is engaged in disarming civilians across its territory but analysts say in practice the policy has been enforced in an ad-hoc, rather than systematic, manner. The LRA originated in 1987 in northern Uganda, led by Joseph Kony, who is wanted by the International Criminal Court. It split into small groups after a 2008 joint operation conducted by Ugandan, Southern Sudanese and Democratic Republic of Congo (DRC) armies. These groups have since been active in border areas of Southern Sudan, DRC and Central African Republic (CAR). At least 2,000 people have died; 2,600 have been abducted and 400,000 displaced by the rebels in these areas. There are also fears that the rebels, according to the Small Arms Survey, might be used by the Sudanese government to sabotage the referendum, due on 9 January. This opinion is shared by some local leaders in Western Equatoria. There are no precise figures for the number of attacks by the LRA in WES. Locals and authorities say from May to October 2010, LRA attacks occurred almost every week. Arrow Boys in Yambio, the state capital, said the LRA increased its attacks in November but Bakosoro said there was only one attack in that month. In most of the incidents, the attackers stole food and property but did not harm civilians, said the Arrow Boys. According to Arrow Boys in the town of Nzara, and Alfred Karaba, the state-level commander of the group, the most recent attack took place on 18 November, when the fighters abducted two girls from Nzara. Bakosoro arrived in Juba on 9 December to push the government for the SDG5 million (US$2 million) pledged to support the Arrow Boys, he told IRIN by telephone. "We need to find out if those funds are available. The referendum is on the way and we need to strategize so that people can have a peaceful referendum," he said. According to Karaba, there are 6,175 Arrow Boys in WES. 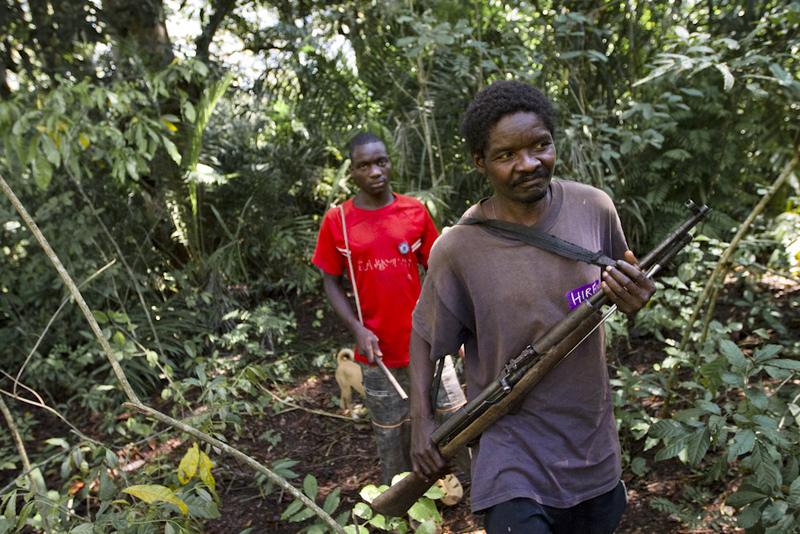 Luka Smith, leader of the Arrow Boys in Yambio, claimed his group captured some LRA fighters last month. “We think they are not planning to attack during the registration but during the voting days," he told IRIN. "If we are not at the registration centres during those days, they will come, kidnap and kill our people." The Arrow Boys, however, lack adequate resources. They are armed with crude weapons such as pangas, kitchen knives, spears and bows and arrows, and occasionally carry locally manufactured rifles, which can be bought from DRC traders for SDG200 ($80). Disagreements have arisen over how the pledged funds should be spent. Bakosoro said the money should be channelled through the Sudan People’s Liberation Army (SPLA), but WES authorities say they would prefer to train the Boys themselves. The police, however, said they were ill-equipped. “We don’t have enough resources, we need guns and bullets and more manpower ourselves,” said John Karba, a police officer in Nzara county. “The Arrow Boys are trying their best and are helping the community… but if they are to receive any training, it should be something official from the government because they are not police and not army,” he added.